Ho Chi Minh (also known as Saigon) was the last stop of my 10-day Southeast Asian adventure with my college roommate last December 2016. As it was at the tail-end of our Amazing Race-esque trip, I was already feeling the fatigue of traveling. Coupled with my prejudice that the city is chaotic and crazy, I stepped foot into the city ready to be disappointed. Boy, was I wrong! Yes, chaos is everywhere in Saigon but it perfectly complemented with the rich culture and the delectable cuisine! It’s as if there is a symphony of noises, sights, smells, and tastes that make Ho Chi Minh quite bustling and overwhelming. Navigating through Ho Chi Minh is not for the faint of heart. The roads, even the narrowest alleys, are filled with motorbikes maniacally speeding from all directions! I was almost certain I would leave the city sprinting with a broken leg or arm. Thank technology for Uber, we were able to find our way through Ho Chi Minh easily, safely, and most importantly, cheaply! We arrived in Tan Son Nhat International Airport and saw taxi services offering transport to District 01, where our hotel was located, for 130,000 to 180,000 dong. We knew we could scour a more affordable service by using Uber so we quickly connected to the free airport Wi-Fi to open the Uber mobile app. We were actually skeptical to use Uber since we did not have any means to contact the driver—we did not bother to buy a local sim card. It’s a good thing Uber allows passengers to leave notes for the driver (exact pick-up venue, for example). Uber users can also see the name, vehicle type, and plate number of the driver. In Tan Son Nhat International Airport, Door #7 is usually where the Uber driver can stop to pick you up. 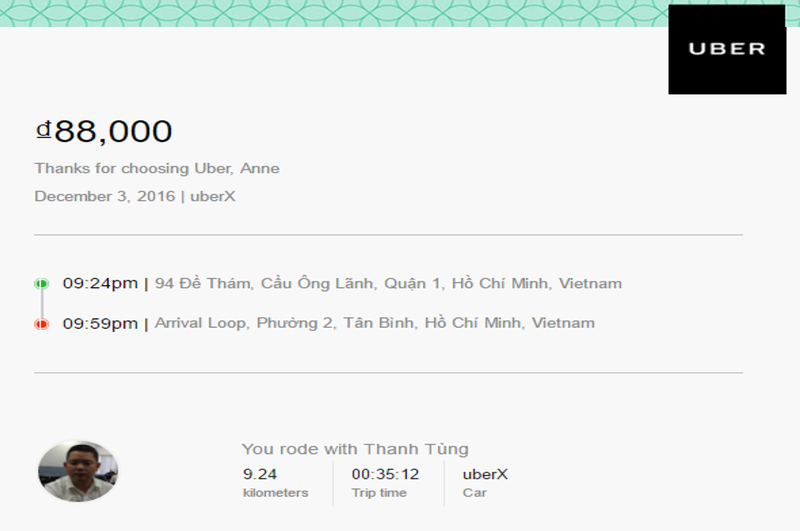 Upon booking, we were so relieved to find out that Uber is relatively cheaper compared to taxis—our fare to District 01 rounded up to 88,000 dong. Not bad for a 40-minute trip in a city laden with motorbike traffic! 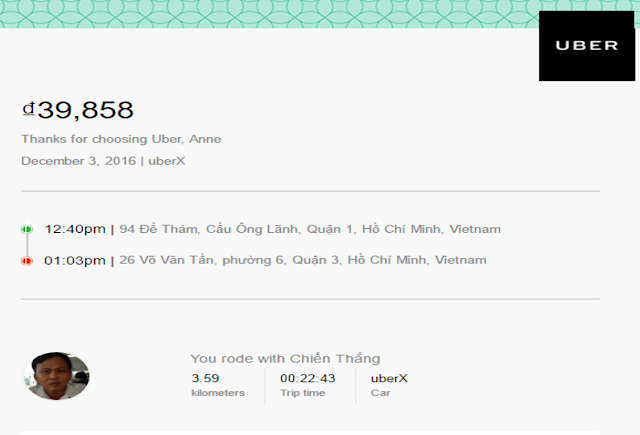 During our stay in Ho Chi Minh, I relied heavily on Uber. From our hotel in District 01, I went to the War Remnants Museum using Uber and it only costed me 39,000 dong! We used Uber again going back to the airport when it was time to leave Saigon. Taxi drivers scamming tourists in Ho Chi Minh is one of the major issues of the city. 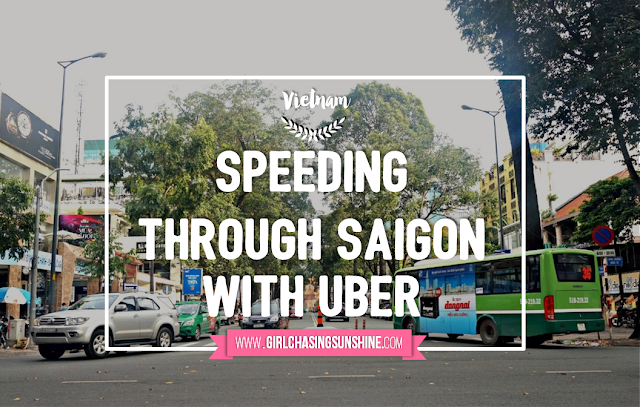 Thankfully, travelers can avoid this using Uber—a more safer and reliable way to enjoy the sights of Saigon! In all instances, we used the UberX service—all the drivers have nice cars and it is way cheaper than flagging a cab. I was wondering how much is an Uber Black in Saigon but I didn’t get a chance to try this premium service. Regretfully, I also missed riding UberMOTO. As you can guess by the name, you use a motorbike instead of a car. It’s half the price of an UberX, much faster, and the thrill and experience can never be beaten! So if you find yourself in Saigon, go ahead and try Uber! If you opt to use a taxi, go for Vinasun and Mai Linh taxis—these are the more reliable options so you can avoid being scammed. Beware of imitations, insist to use the meter, be extra vigilant, and just enjoy the ride! Thanks for the post, anyway, UBER seems not really logic compare to the others offering same services in Vietnam. I personally use grab and its fine. The things most traveler looking after is to get around the town with something reliable rather than price tags. Hi. I'm enjoying your blog. Your right about Uber.. It's really saved the day the last few times I've been to Asia. Especially manila. 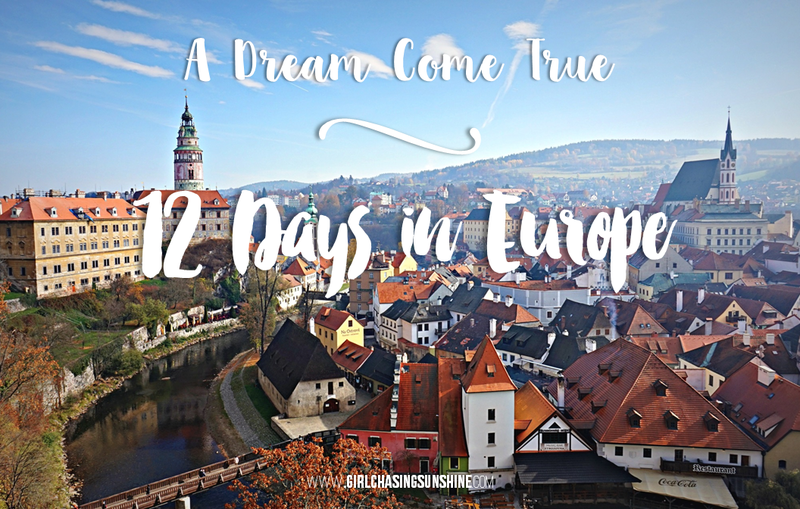 I'm a "Foreigner" and had a hard time getting where I wanted to go without being overcharged. I had a much more pleasant experience using "Grab Taxi" over there, which is basically the same concept as Uber. :) Thanks for the tip. I want to visit Vietnam, Cambodia, and Thailand on my next trip to SE Asia. 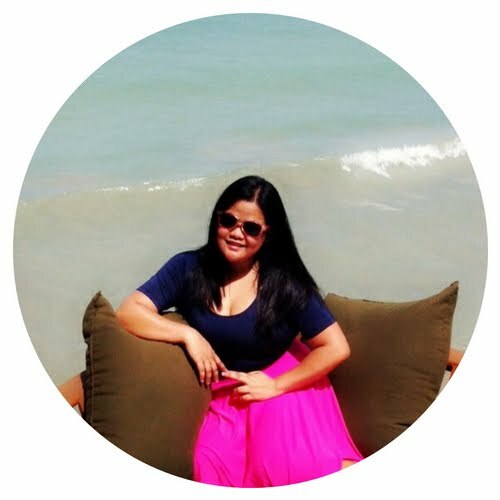 Keep up the great work :) I also have a blog where I frequently blog about the Philippines. Hopefully soon I will be able to add posts about Vietnam :) http://travelwithoutamap.com Please message me at travelwithoutamap@yahoo.com if you would like to network our blogs together. 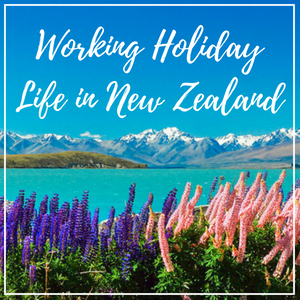 Have a great day and happy blogging! Did you use cash payment or can you use credit card while using Uber. I've read that the preferred method is cash. I often use UBER and its okay, not bad, Grab car is also reliable and i like them both. thanks for the post and tips for traveling to saigon.